For the next generation of choral singers. No auditions, no fees, just first-class choral training. Every Monday in term time between 6-7 pm at the Parish Rooms, St Mary’s Church, St Mary’s Street, Ely. Please contact Johnathan Rogers at youth@elychoralsociety.org if you would like to come along. 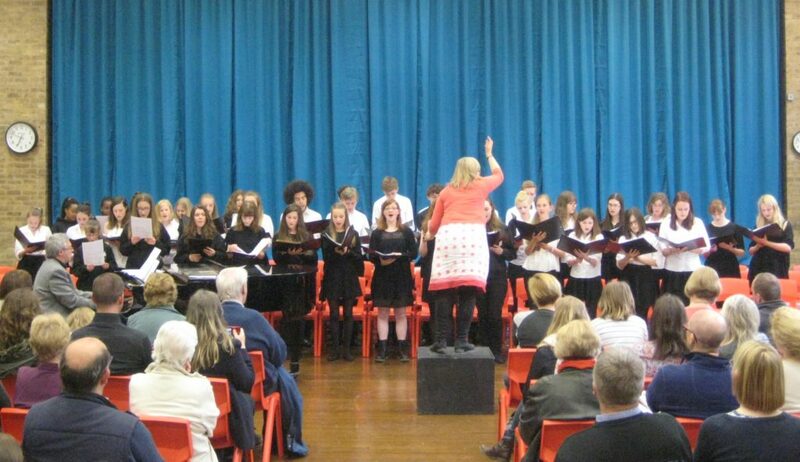 Ely Youth Choir is Ely Choral Society’s community choir for Secondary-age students. It was set up in 2010 so that the next generation of choral singers can access quality training in an after-school setting and take part in concerts and local events. There are no auditions and, currently, no fees. Membership is open to anyone in the age group who wants to sing. 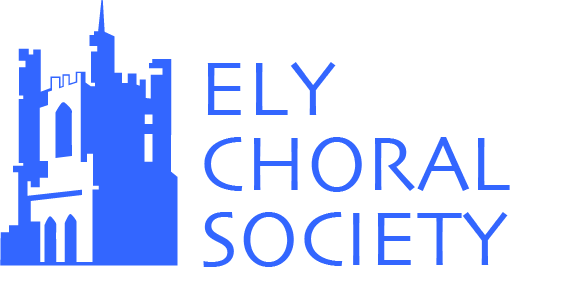 The choir participates in most Ely Choral Society concerts and performs at community and charity events in its own right. 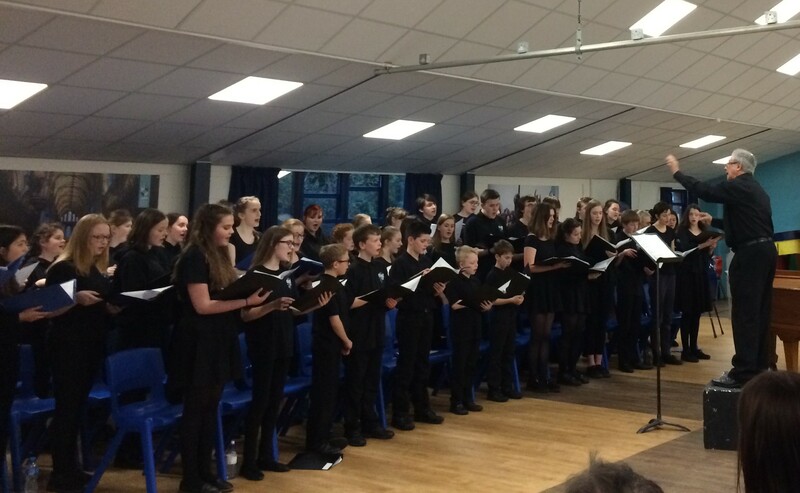 The choir organised and hosted the first Ely Youth Choir Festival in April 2013, attended by singers from three youth choirs in our region, and hosted it again in 2015. Ely Youth Choir is a Founder Member of the City of Ely Council’s Ely Youth Forum. In 2012 it formed the Ely Integrated Youth Choir with singers from Highfield Special School to perform at community events. Since 2014 Ely Youth Choir members have taken part in the annual Scratch® Youth Messiah at the Royal Albert Hall, which was named Best Classical Music Initiative 2015 by the Music Teacher Awards For Excellence. The choir has been conducted by Andrew Parnell since its foundation. It is managed by a Steering Group of Ely Choral Society members and Ely Choral Society funds its core running costs. 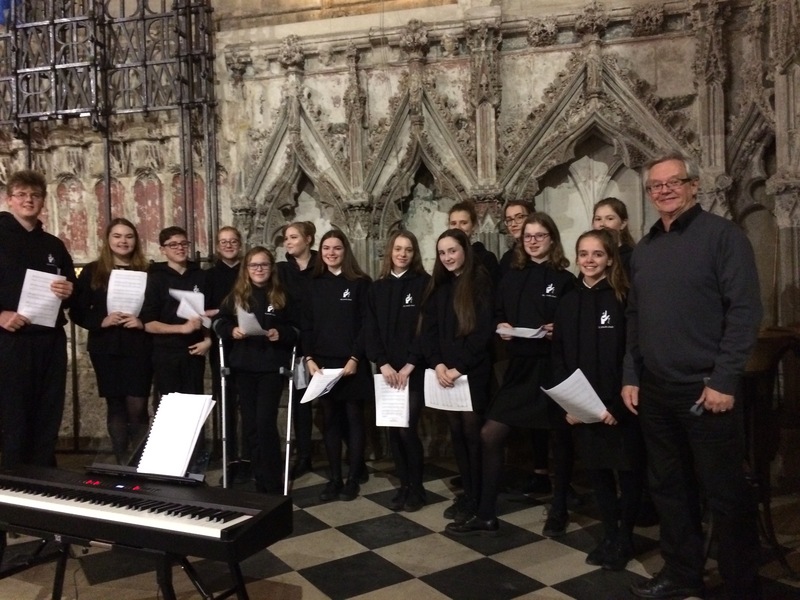 The choir’s success is attracting other financial supporters, including Soham Pumpkin Fair, Waitrose Community Matters, Cambridgeshire County Council, City of Ely Council, ADeC, Sainsbury’s, Tesco and students of Ely College. No auditions, no fees, just first class choral training. Singing in a group is great! If you love singing, or think you’d like to try it, come and join us! Experience is not essential. Our free weekly sessions include voice training and rehearsal for performances. The group is informal, friendly and focused on learning and performing, and the repertoire ranges from Adele to Hairspray as well as Handel. You’ll learn valuable new skills from a top professional choir trainer and have the chance to take your interest in singing to a whole new level. We rehearse on Mondays in term time from 6:00 to 7:00 p.m. in the Parish Rooms, St Mary’s Church, St. Mary’s Street, Ely, CB7 4HF. If you would like to join us, or come along for a ‘taster’ session, please fill in the form and we will be in touch. On a rare warm summer’s evening there is nothing better than to attend a concert in Ely Cathedral’s Lady Chapel. Ely Choral Society’s event In Nature’s Realm on Saturday was indeed well worth attending. The programme was interesting and varied; the participants in fine form…..
Ely Youth Choir are getting better and better and their songs were a charming addition to the programme this evening. In Blue Mountain River by Cara Dillon arranged by P Hunt the parts gelled well and the solos delightful. John Rutter’s Look at the World flowed beautifully. The Ely Youth Choir Festival Concert in the Hayward Theatre Ely on Sunday 28th April 2013 was a great success. Youth Choirs from North Suffolk and Ely along with the Cantiamo! Youth Choir gathered together for a day’s singing in a series of workshops as part of this inaugural Festival. The culmination of the event was a most uplifting concert. …The singers were in fine voice, creating moments of excitement and beauty….. What particularly impressed me was the natural beauty of the tone of these young singers. Juliet Abrahamson, Director of the Cambridge Music Festival, gave encouraging advice to the performers at the end of the event and mentioned what a good idea it was to have a festival for youth.